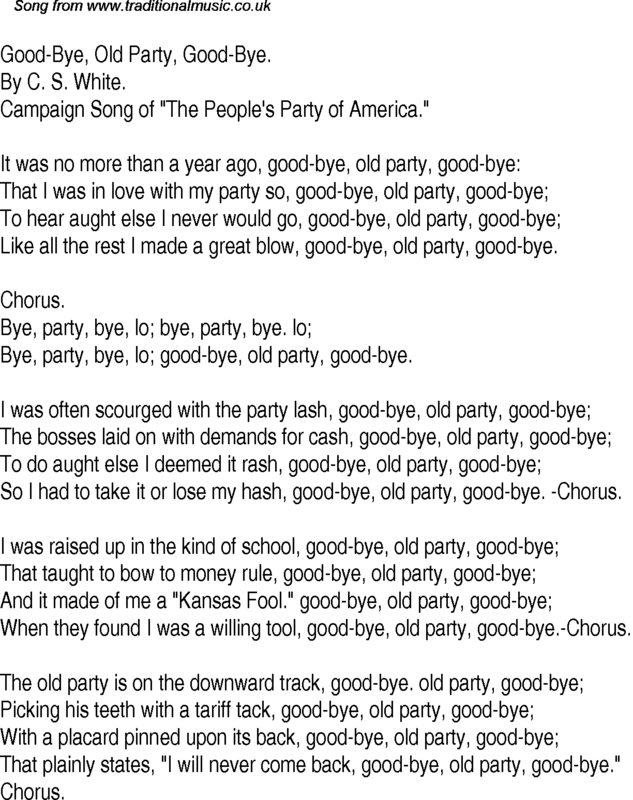 Campaign Song of "The People's Party of America." Like all the rest I made a great blow, good-bye, old party, good-bye. Bye, party, bye, lo; good-bye, old party, good-bye. So I had to take it or lose my hash, good-bye, old party, good-bye. -Chorus. When they found I was a willing tool, good-bye, old party, good-bye.-Chorus. That plainly states, "I will never come back, good-bye, old party, good-bye."